Israeli Prime Minister, Benjamin Netanyahu is finally facing indictment for a litany of charges related to bribery, fraud, corruption, influence peddling, meddling with the free press and currying favors on a pay-for-play basis. For about a year, we've been covering the fraud charges and, as we predicted, elections were called several months early, presumably in the hopes of circumvention indictment and potential arrest as a result of the many alleged crimes. Bibi, his wife Sara and their son Yair have all been embroiled in the criminal scandals. Netanyahu is facing three separate cases, each one with multiple charges. Collusion with the media to damage opposition news sources, receiving gifts and money for policy. Between footage, cell phone records and a number of whistleblowers there is ample evidence to put away Netanyahu and finally he is facing indictment. But honestly, what is all this corruption in comparison to his real crimes. Crimes against humanity inflicted on both Jews and Arabs in the Gaza strip. #Sisi says to #Bibi #Netanyahu: It took you 10 years to embezzle one million? Israel is often touted as "the only Democracy in the Middle East." Many an oppressive regime has used elections to project an image of a fair, people-centered democratic state. In the case of Israel, especially since the new Nation-State law, what was once de facto separation between Gazans and Palestinians is now de jure. Ironically, not even Jews living in Israel controlled Gaza are not allowed to vote in their "democratic elections." As we've reported before, despite the claim that Israel is "a homeland for all Jews" there have been Jewish, Israeli citizens turned away at the border due to being pro-Palestinian activists. This is not what a democracy does. Due to the so-called "Right of Return" Jewish people from all around the world, some who became part of the diaspora nearly 3000 years ago can "claim" a homeland in Israel in the same areas where (once again for thousands of years) Sephardic Jews and Palestinian Arabs lived side by side, mostly in peace. There are, of course, exceptions. Ethiopian Jews, Africans with Jewish ancestry and genetics, have also faced discrimination, sometimes being blocked from immigration. Once again, racism and the creation of second-class citizens is not at the top of the list of prerequisites for free and democratic society last time I checked. As the New York Times put it last year, "Israel cannot be both a Jewish state and a liberal democracy." Should We Give a Second Thought to Death in Palestine? Yes, Netanyahu is corrupt, but seriously though, fraud, corruption, bribery, lies, currying favor, manipulation of the media.... eh, so you're saying he's a politician then right? It's honestly par for the course. I'd love to see him go down and I'm glad to see that his attempt to hold early elections didn't hold water, but in my opinion, his real crimes are crimes against humanity. All of Gaza is a war zone, and no one is safe from potential attack. Palestinians are also often imprisoned without trial. Once again, this is not democratic. Guardian and other respected news sources worldwide have pointed out how Israel is at the center of illegal organ trafficking that occasionally sell Palestinian organs on the black market. African migrants in Israel were injected with Depoprovera against their will to sterilize them. Drone strikes on 8 year olds, stun grenades used on people holding their babies in their arms, use of butterfly bullets, white phosphorus and other banned munitions, the legless demonstrator in a wheelchair who was shot dead during the March of Return (which resulted in the death of nearly 200 and serious injury of thousands who were peaceably assembling, carrying signs and chanting slogans). Last Spring Ha'aretz wrote of four war crimes (that they knew of) committed in a week. Or just now, the blind man on dialysis, amputated toes, bedridden who was beaten by a handful of masked IDF while his wife and children cried and screamed for them to stop. Meanwhile, if you point out the obvious parallels between this Gestapo type behavior and the Nazis many folks in the US will brand you an antisemite. Hell, in France anti-Zionism is now LEGALLY considered antisemitism. Tragic that this feeds into antisemitic hate, especially since MANY Jews aren't Zionists and many Zionists aren't Jews. Meanwhile, the UN has finally decided to condemn as a potential war crime the indiscriminate slaughter of men, women and children (including medical staff and journalists) protesting at the Gaza border during the March of Return that resulted in over 100 deaths, once again, some women, children and journalists and over a thousand wounded. 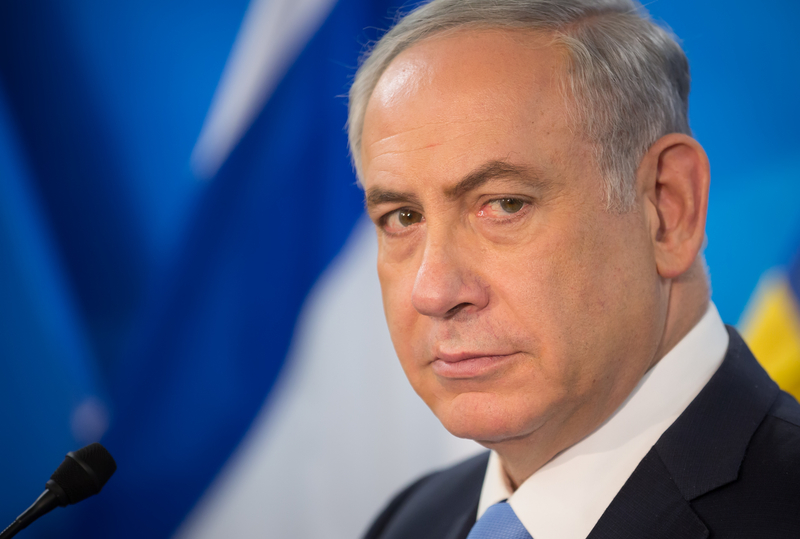 So Bibi has been indicted, he'll see a trial and likely get a slap on the wrist. Maybe he'll go back into political PR and media relations or, who knows, could get a job working with one of those ex-Mossad "PR" outfits like Black Cube. You know, the guys who would spy on and intimidate Harvey Weinstein's victims into ensuring they didn't go to authorities? In all seriousness though, even if he does get some short prison stint, it's too good for him, but I'm not holding my breath for the military tribunal.